Classroom clicker technology is used in many K-12 and university settings. The use of clickers is often seen as a way of engaging students with technology “native” to their generation. Handheld electronic gadgets are clearly popular with students. While clickers may not have the “wow factor” of the latest mobile phone or MP3 player, students generally seem to find clicker technology appealing. Faculty members, who may find technology a bit more daunting, find value in clickers for other reasons. Clicker technology is particularly appealing in large, auditorium style classrooms, where it is often difficult to know and engage all members of a class in weekly lecture interactions. 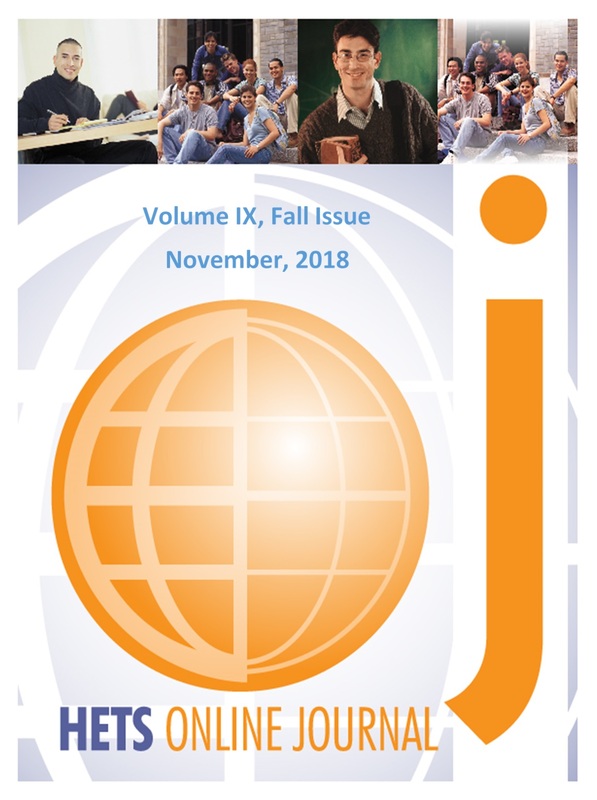 This article focuses on how one University implemented a standardized clicker system for use by faculty across campus; in addition, the article discusses activities using clickers in a first- year seminar to better engage generation Y students who want technology and interaction in the classroom. Queensborough Community College is one of six community colleges of the City University of New York. Located in Bayside, Queens, the college serves more than 15,000 degree students. Queens County in New York City is the most diverse county in the United States. The College reflects this diversity. Its White, Black, Hispanic, and Asian students or their families come from 143 countries including Paraguay, Venezuela, Korea, China, India, Guyana, Pakistan, Haiti and many more. Among the numerous languages they speak are Spanish, French, Urdu, Hindi, Punjabi, Chinese, Pushto, and Farsi. Almost half of them speak a language other than English at home. This diversity generates both challenges and opportunities in a college community. Historically, non-ESL students have scored 20 percent higher in pass rates for reading and 10 percent for writing.Queensborough Community College is an Hispanic Serving Institution with a 26% Hispanic population. In addition to the challenge of learning a second language, many of these students have strong family and community ties and obligations. Obligation to community and family is highly valued and identity with the country of origin remains strong. In order to meet the needs of these valued students who bring so much rich cultural diversity into our classrooms, the College has committed to promoting High Impact practices in the classroom that promote student engagement by encouraging active learning and that tend to appeal to diverse student groups. George Kuh (2008) has named practices such as service learning, learning communities, diversity/global learning, and project-based learning as High Impact. Queensborough has added to this list ePortfolio, an electronic archiving and networking system, because it provides an opportunity for students to store and reflect upon their own work over time, as well as to communicate virtually and asynchronously with other students in an academic environment. Queensborough’s commitment to High Impact practices emerges from its attemptto help students become a part of a new academic community that, in the end, will help them meet their family and cultural needs through good career options and a liberal education. Support of these students in the first semester of their experience at Queensborough Community College,it is hoped, will facilitate student efforts to learn a new language, join a new community, and manage employment obligations in a way that could foster reflection during this transition in their lives. Queensborough’s strategy in the ePortfolio project involves synthesizing longitudinal goals in the General Education Objectives into one experience in the first semester Cornerstone course, an introductory course that teaches general education skills of communication, critical thinking, organization, and development of values. Through the design of the course, objectives that are usually achieved over time are combined into one experience of integrated learning in a Web 2.0 environment. In this High Impact synthesis, the ePortfolio collaboration facilitates social networking, information literacy through the world wide web (www), and interdisciplinary collaboration in a project whose end result is a new artifact of knowledge production created through teamwork. Through this synthesis, an incoming student makes social connections with a very diverse student population while also gaining experience in career options through collaborating with students in career disciplines by using cultural artifacts found on the world wide web. The interdisciplinary collaboration joins Basic Skills (remedial Reading and Writing) classes with Freshman Composition classes (which encompass the above-mentioned cornerstone experience) and a content course reflecting a career elective (e.g., Education, Acting, Nursing)—to form a team of three classes that collaborate by sharing their stories and then enhancing those written by other students, working across disciplinary boundaries in a virtual community. Basic Skills students begin to see the skills needed for Freshman Composition while also gaining a perspective on career disciplines. Perhaps the most valued part of the project is that students with strong social skills and community values translate those values easily into understanding the global community in the classroom. Stories are shared among students with widely divergent cultural orientations, yet the students move with ease to appreciate the common values and experiential authenticity of their classmates. Students learn from other students. Beyond this, students in all three of the collaborating courses undergo major learning experiences in the virtual collaboration. In a typical collaboration, a professor teaching Freshman Composition, a cornerstone or gateway course in essay writing, asks the students to write essays about a personal learning experience, that is, any situation where language led them to see the world differently: a conversation they overheard, a joke, a piece of writing, etc. In the link below the reader will find a student story from a Composition class before the process of collaboration. In this story a student remembers the way her mother shared stories with her sisters in an apartment in the Bronx, remembering her homeland and her relatives. After her mother dies, the student thinks back to that experience, that way of using language as the richest experience of her life. In this highly scaffolded class, the teacher then starts a process through which the students can re-see their initial effort. The students are assigned a piece of writing characterized by excellent use of descriptive language. After reading it, the Composition students go back to their essays and rewrite key paragraphs to improve their sensory, concrete detail. In her article, “Attending to Student Voice,” Carol Rogers (2006) claims that this attention to “slow description” heightens the visibility of the student to fellow students and the teacher. Then the Composition students read essays that stress the making of distinctions and problem-solving strategies, after which the students rewrite their essays using analysis to make clearer distinctions. Having done that, they reflect upon the ways their writing has changed as a result of using the reading assignments. In this way students see their own stories change as a consequence of meeting General Education objectives, such as developing effective reading and writing and honing critical thinking. In the next steps, additional General Education goals are met as the students make connections across disciplines in a social/academic network that creates a sense of meaning and belonging. This begins when the Composition students upload their essays to the group wiki in the ePortfolio. There, these students join in collaboration with students in Basic Skills and, for example, History 101, who read the essays and then post artifacts—art, music, video, statistics, graphs, quotes, and so on—from the Worldwide Web (www) that express other, more generalized ways of understanding the content of the essays; in the case of the content course, History 101, the artifacts are specific to the disciplinary discourse of the course. By adding another dimension to the Composition students’ narratives, the artifacts help students to place their own personal experiences in a larger context, a context specific to the disciplinary discourse of their class work. Then the Composition students select the artifacts that they think enhance their personal narratives. After that, the students create PowerPoint presentations in which they record voiceover narratives while the chosen artifacts pass across a screen. The artifacts from the www enhance the personal narratives by once again placing them in a broader framework that goes beyond the Composition students’ personal experience. For example, if the content course is History, one of the selected artifacts might be a graph showing the rate of immigration year-by-year from a Composition student’s country of origin during the era in which the student’s immigration experience occurred. Another artifact might be a photo of immigrants arriving in America.And so, individual experience becomes part of a broader phenomenon. In turn, the students in Basic Skills and the content course gain an understanding of how to apply their knowledge, share cultural experiences, and develop technological literacy skills. Students who came into our academic community facing challenging translation and adaptive tasks are able to actively engage in projects that allow them to emerge as leaders who speak in the language of art, music, and technology, using their social skills to collaborate in producing artifacts of new knowledge while learning a new language. 2001–2004 “Learning to Look,” sponsored by The Graduate Center of the City University of New York and the American Social History Project and supported by the National Endowment of the Humanities, trained humanities educators to develop effective strategies for using digitalized artifacts to promote learning. 2005 The Georgetown “Crossroads” project, funded by the Carnegie Foundation, taught faculty members from across the nation how to use web-based resources for classroom projects. 2007–2009 LaGuardia “Making Connections” institutes were financed by the Fund for the Improvement of Postsecondary Education (FIPSE). Teams of faculty learned how to use ePortfolio spaces as “learning spaces” that showcase student projects and facilitate transfer and reflection. In the Fall of 2009, 15 faculty members created 5 teams of 3 classes each to collaborate in producing student digital stories. The authors of this article—two of them professors in the English Department and one a professor in Speech and Theater Arts—brought together Basic Skills, Freshman Composition, and Acting I classes as one of the teams. That is the collaboration discussed in this article. In the collaboration between Freshman Composition, Acting I, and Basic Skills courses, three professors and their three classes collaborated to develop a virtual learning community with the theme of Family and Culture. As Sheena Gillespie and Robert Becker (2008) say of the texts in their anthology, Across Cultures, they were aware of “how much of our personal and cultural identities [were] rooted in our need for community” (p. 16) and wanted to help their students develop a similar awareness. In the Composition class the assigned readings were meant to serve as models and inspiration. Students read literacy narratives and other essays by people who grew up influenced by more than one culture and language. Amy Tan was one such person. She writes in “Mother Tongue” of her Chinese mother’s “broken” English, which she says “helped shape the way I saw things, expressed things, made sense of the world” (Gillespie, 2008, p. 28). In “The Joy of Reading and Writing: Superman and Me,” Native American writer Sherman Alexie narrates his experience of growing up on the Spokane Indian Reservation, where books were scarce except in his home, where his father kept an eclectic library that fascinated the young Alexie and led, no doubt, to his career as a man of letters (Gillespie, 2008, p. 72). Paule Marshall, in “Poets in the Kitchen,” tells the story of the West Indian women in her Brooklyn neighborhood who gathered in her mother’s kitchen and spoke in a language so imaginative that the young Marshall absorbed the poetry and power of that authentic speech (Gillespie, 2008, p. 196). In “My Pen Writes in Blue and White,” Vincent Cremona speaks of straddling two worlds, one white collar (his mother’s) and one blue collar (his father’s), so that he was exposed to two languages, both English (Gillespie, 2008, p. 206). Chang-Rae Lee writes in “Mute in an English-Only World” of the embarrassment and estrangement his Korean-American mother experienced as she tried to navigate the world of suburban New York, where people could be rude and impatient with those whose first language was not English (Gillespie, 2008, p. 157). Former boxer Jose Torres, in “Letter to a Child Like Me,” writes movingly of growing up “Hispanic” (Puerto Rican, in his case), arguing that “your best defense against the ignorance of bigots and haters is pride in your own heritage” (Gillespie, 2008, p. 163). Composition students wrote reading journals that served as jumping-off points for class discussions and fodder for what would become their digital essays, but the seeds of the first formal writing assignment were planted the first day of the course when they wrote in class in response to a series of prompts about their experiences of reading and writing in their elementary, middle school, and high school years. Sometime later they were asked to write reflections on how race, ethnicity, language, gender, and education (the latter broadly defined) had contributed to their sense of who they were and what they wanted from their lives. Then, Composition students revised and elaborated on their essays based on the comments, suggestions, and “gifts” they received on the group wiki from the Acting and Basic Skills classes. The professor reviewed the revised essays and determined if the students were ready to create their multi-media presentations, using PowerPoint slides and a voiceover. It was these digital stories that the Acting class used to create their video logs (vlogs). Finally, students in the Composition class were asked to reflect on how the experience of writing the personal narrative and creating the digital essay changed the way they thought about Family and Culture. At first, several students were disinclined to discuss their family and culture, insisting that they were “Americans” without a need or desire to explore their heritage. It was essential to create a classroom environment where students felt safe from negative stereotyping and understood that their stories of family and culture would be treated with respect. They came to see that race and ethnicity could be defined in many ways and that they had a right to define themselves however they saw fit. When students realized that they had a sympathetic audience for their narratives, most of them came to embrace the project and revel in the stories of their racial and ethnic heritage (however they chose to define it), seeing, I think, an opportunity to discover—and/or make manifest—things about themselves and their families that had remained largely unexamined. In the end, most of the students became performers whose desire to show off their best work was evident in their oral presentations and on the page. As Howard Gardner (2008) argues in 5 Minds for the Future, “In a world where we are all interlinked, intolerance or disrespect is no longer a viable option” (p. 3). With projects such as the one outlined here, where students see the world from many different perspectives, respect for viewpoints and experiences other than one’s own is essential. Students also see the enthusiasm of their professors as they collaborate and see their work and the work of their students in a broader context. Gardner (2008) proposes that “any lesson is more likely to be understood if it has been approached through diverse entry points: these can include stories, logical expositions, debate, dialogue, humor, role play, graphic depictions, video or cinematic presentations. . . . any individual with a deep understanding of a topic or method can think about it in a variety of ways” (p. 33). When the students in the Composition class viewed the vlogs that were created from their narratives, they saw their presentations in a stunning new way. Mike Rose speaks of our country’s “extraordinary social experiment: the attempt to provide education for all members of a vast pluralistic democracy” (Gillespie, 2008, p. xxix), and Howard Gardner (2008) speaks of a “pluralistic view of the mind” (p. 3). Gardner’s (2006) theory of multiple intelligences recognizes “many different and discrete facets of cognition, acknowledging that people have different cognitive strengths and contrasting cognitive styles” (p. 5). The Digital Storytelling Project, with its interdisciplinary collaboration, embraced the pluralism to which Rose and Gardner refer. Students were given the opportunity to use or develop several of the “intelligences” that Gardner writes of in his groundbreaking work Multiple Intelligences (1993). When they told their own stories, they used what Gardner (2006) calls “Intrapersonal Intelligence” (p. 16). When they collaborated with their peers, they used an intelligence that Gardner (2006) terms “Interpersonal” (p. 14). Several students used their “Musical Intelligence” (Gardner, 2006, p. 8), and in creating their PowerPoint presentations they all used “Spatial Intelligence” (Gardner, 2006, p. 13). Finally, in writing their essays and editing the writing of their peers, they developed their “Linguistic Intelligence” (Gardner, 2006, p. 13). Toby Fulweiler (1987), in Teaching with Writing, uses Ken Macrorie’s term “Engfish” to refer to “the stilted, evasive prose common to school and bureaucratic writing” (p. 10). “If we want writing (and thinking) skills to become useful, powerful tools among our students,” Fulweiler argues, “we must ask them to write (and think) in a context which demands some measure of personal commitment” (p. 10). The Digital Storytelling Project demanded such a commitment, and to judge from the work of our students, they felt—and wielded—the power. Below, students in Freshman Composition describe how they benefited from the Digital Storytelling Project. This is an examination of the process and result of layering the Student Interdisciplinary Wiki Project into a first-level acting class titled Theater 120: Acting I. This class is an elective for most programs but fulfills a requirement in the Early Childhood Education program at Queensborough. It holds the same course objectives as the required class for the Fine and Performing Arts program with a concentration in Theatre Arts, and students who complete the class are eligible to enroll in the class Acting 2, for both Theatre and non-Theatre majors. In the same collaboration discussed in the previous section, the Acting Class partnered with a Freshman Composition Class and a Basic Education Class. The project was titled Family and Culture. The three faculty members assigned readings from the dramatic text Autobahn, by Neil LaBute, and Across Cultures, an anthology, to offer shared reading assignments across the three classes and to prepare for the development of personal narratives that would become digital stories. The ePortfolio virtual community offered an immediate opportunity to expand the established classroom practice of the actor journal. Constantine Stanislavski (1936), who codified modern actor training through such works as An Actor Prepares, said, “You must ‘live the part’ by actually experiencing feelings that are analogous to it, each and every time you repeat the process of creating it” (p. 14) Self-reflection and personal history are considered the essential first steps in approaching the craft of acting. The class responded to each other’s personal histories with gifts of photographs and films. This use of other ways of knowing is supportive of the acting techniques of sense and emotion memory, in which the five senses are employed to viscerally recreate the actor’s personal experience. The artifact that became central to the Freshman Composition students’ personal narratives translated into personal object work to assist with triggering sense and emotion memory for the acting students. It also provided an opportunity to explore the concept of “Endowment,” described by Uta Hagen in Respect for Acting (1989), in which objects surrounding the character are assigned history and relationship by the actor to create a realistic environment (p. 89). Self-reflection, sense and emotion memory, and endowment were all course concepts seamlessly integrated into the project’s structure. However, the most significant experiences in the classroom required some departure from traditional delivery of Acting I in an attempt to build a significant interdisciplinary cohort experience. The students analyzed and rehearsed scenes from a dramatic text in the style of modern realism before attempting to look at the personal narratives from the Basic Skills and Freshman Composition classes as texts for performance. They read essays and chose the ones they wished to perform on their own, as well as abridging the texts to create a short monologue. They were asked to reflect on the reasons for choosing these texts for performance. Their choices often crossed their own gender and ethnicity, a departure from most casting that takes place in the theatre. The choice to cross gender and ethnicity helped students understand that they were compelled by the “essential” story, not the “literal” experiences of the character. The class discussion held after a review of the student texts centered around identity and self-definition, which reinforced the lesson of self-knowledge that is the cornerstone of actor training. Students also fluidly found the “magic IF” using other students’ texts. “I chose this character,” one student wrote, “because it reminded me of myself. When I was young my family moved from a predominantly black West-Indian neighborhood to a mostly white community. On my first day of the new school, I thought I was watching aHappy Days episode with a bunch of Richie Cunninghams. Her closeness to her family is the same as mine. Family is very important to me” (Navin, Acting I student, on an essay by Farimah, Freshman Composition student). The students placed their reflections and questions directly on the student essays using the wikis to share the information, so the Freshman Composition students had an opportunity to dialogue and revise their essays upon hearing the Acting students’ reactions. The need to archive and share the performance asynchronously with the Basic Skills and Freshman Composition classes led to the choice of creating video logs for the assignment. The advent of video logging or “vlogging” came in 2004 with the emergence of the website Youtube (Show, 2007), and there are now several thousand active vloggers on Youtube and other video websites. Youtube itself defines vlogs as “a video of someone talking into the camera about their thoughts on a particular subject matter. Vlogs are generally a frequent posting of videos which are personal in nature keeping with the idea of a ‘log’ or ‘diary’” (Show, 2007). The vlogging community values authenticity highly. To give an example of the community’s definition of the practice, a popular vlogger, “Lonely Girl 16,” was eventually revealed to be an actress with a script who had been hired by a production company, not a lonely teenager in her bedroom. Youtube vloggers felt betrayed and expressed their disapproval by way of thousands of vitriolic comments and response vlogs (Show, 2007). Some of the trained actors among the vloggers portray constructed characters in their vlogs and have achieved notoriety, which in some cases has led to some substantial film work, even though many vloggers express disapproval of this practice. The online dialogue on Youtube has raised many questions about the nature of presenting “the truth.” In Stanislavskian theatre practice, actors are requested to present their own personal truths as the truth of the character to create a believable performance, yet this very practice was suspect in this narrative format. The choice to create vlogs for the personal narrative assignment arose from the opportunity to share the performances with the other classes. Vlogs presented a unique opportunity to create a sense of verisimilitude. The innate self-reflective nature of vlogs aligned with the nature of the essays themselves. The choice at first seemed problematic for a first semester acting class, as theatrical vocabulary and practices are challenging in and of themselves, and traditionally, camera technique is taught only after mastery of basic theatrical principles. Homemade video logs, which were often self-filmed with flip video cameras, also held the possibility of creating archived material that was not aesthetically pleasing. A viewing of Andrew Neel’s (2007) documentary about his grandmother, titled Alice Neel, the artist, led to the decision to work with vlogs, despite the apparent drawbacks. Alice Neel focused on portraiture, and the documentary was filmed with a handheld camera in video emulation of the artist’s paintings. The visual story and the content of the discussion in the film’s interviews were reflections on the nature of portrayal. “Why portray anyone at all?” was a question the son of the artist posed back to his own son, who was interviewing him, and although the camera was unsteady, and the subject seemingly not well lit, the very presence of the subject and his use of physical gesture communicated meaning in a way that would have been incomplete in a narrative simply read on a page. The departure from theatre into theatrical media in the use of the video log expanded the actor’s task to include direct address to the camera and observations of new aesthetic distances. Students began to discern the distinct requirements of fourth-wall technique (the convention in drama in the style of modern realism) when approached with direct camera (and, by extension, audience) address. Students were videotaped with a flip video camera while performing exercises based on the theories of Sanford Meisner, which incorporate repeating of text with an acting partner. The camera served as audience in this exercise, and the actors were tasked to create a circle of attention on their acting partners, with a sense of projection to the camera, which holds a very different distance than does a live audience. In the actual vlog, the camera became the acting partner, and the students were prompted to endow the camera with the attributes of a partner. The camera technique served to assist students in understanding live theatre technique in relief—the acting partner became more appreciated as a tool in the theatrical performance when acting students no longer worked with one. Students were also prompted to employ physical gestures for the camera, which were more economical than those required for the theatre, yet which provided sublingual information. This lead to a more complete and complex interpretation of the personal narrative text, in much the same way that the digital stories, in their use of visual and aural information, provided other ways of knowing. The following videos of Javier from the Acting I class portraying Oscar from the Freshman Composition class document the progression from actor exercise with a partner to vlog, as well as Javier’s on-camera reflection. The ePortfolio Virtual Learning Community Project in Family and Culture at Queensborough created a virtual learning community to assist students in meeting course and General Education objectives within the traditional face-to-face classroom space. This community provided an interdisciplinary space that examined and celebrated the students’ own experiences, and those of their families, while developing the students’ ability to think critically, apply aesthetic and intellectual criteria in the creation of theatrical performances, to make connections across disciplines, and to examine cultural commonalities. The addition of theatrical media and wiki collaboration posed problems for the delivery of class content that, through the creation of solutions for those problems, actually provided new and vivid information that assisted students in understanding performance techniques. The ePortfolio Virtual Learning Community Project engaged within a traditional classroom would be described by George Kuh (2008)as delivering multiple High Impact Practices that appeal best to Hispanic students and other historically underserved groups in their alternative modes of delivery of competencies. There are elements of service learning in the support that students give to each other on their projects, learning communities in the online collaborations and shared assignments, diversity and global learning in personal narratives from largely immigrant students, and project-based learning in the creation of digital stories and vlogs. Kuh (2008) says that “historically underserved populations tend to benefit more from engaging in them but are less likely to participate in range of High Impact Practices than ‘majority students’” (pp. 17–19). It is the College’s intention to continue to offer and expand this model of service to student learning, and to reach out to other Hispanic Serving Institutions to extend the virtual community, and therefore extend access to those students who would most greatly benefit. Fulweiler, T. (1987). Teaching with writing. Portsmouth, N.H.: Boynton/Cook, Inc.
Gardner, H. (2006). Multiple intelligences: New horizons. New York: Basic Books. Gardner, H. (2008). 5 minds for the future. Boston: Harvard Business Press. Hagen, U. (1989). Respect for acting. Hoboken, N.J.: Wiley. they matter. Washington, D.C.: A A C & U.
Neel, A(ndrew) (Director). (2007). Alice Neel. [Motion picture]. United States: Think Productions. This study benefited from support from a Challenge Grant 2009–2010. In addition, a “Making Connections” grant through LaGuardia Community College’s FIPSE grant has supported this work since 2007. This paper describes the experiences of the only registered library consortium under the State Department of Puerto Rico, mostly composed by private higher education institutions. The author explains how the Consorcio de Bibliotecas Metropolitanas (COBIMET) was founded and what were the challenges, needs and goals of this collaborative group. To achieve cooperation the members of the consortium considered the common needs of each one of the participating libraries. The areas to work on were technology, library services, information resources, budget constraints and professional development. Among the benefits derived from all activities the participating institutions were able to reduce costs, share knowledge, and explore diverse learning experiences. Este artículo describe las experiencias del único consorcio de bibliotecas inscrito bajo los criterios del Departamento de Estado de Puerto Rico. Está compuesto en su mayoría por instituciones privadas de educación superior. El autor explica como el Consorcio de Bibliotecas Metropolitanas (COBIMET) fue fundado y cuales fueron su retos, necesidades y objetivos de este grupo colaborativo. Para alcanzar la cooperación se identificaron las necesidades comunes entre los miembros del consorcio. Las áreas con necesidades comunes fueron las de tecnología, servicios bibliotecarios, recursos informativos,presupuesto y desarrollo profesional. Algunos de los beneficios obtenidos de las actividades que participaron las instituciones fueron reducción en gastos, compartir de conocimientos y explorar diversas formas de aprendizaje. COBIMET Library Consortium: the experiences of a collaborative project of four Hispanic Higher Education Institutions in Puerto Rico. The Knowledge society uses communication and information technologies to restructure the production of goods and services, and to support the development of new services. Having reliable information is essential to develop new technologies, services and therefore wealth. According to Brindley (2009), Thomas Stewart was one of the first to discuss the emerging knowledge based economy. Stewart saw “intellectual capital as intellectual material – knowledge, information, intellectual property, experience – that can be put to use to create wealth” (p.4). The involvement of libraries in the 21 century for the development of the intellectual capital is crucial to the economical and social development of a society. Libraries must provide user centered services that empower patrons to get information from the library at any time, independently from their geographical location, and encourage a flexible response to their unique and diverse needs (Atlas, Wallace and Van Fleet, 2005).Furthermore, libraries must provide high quality peer reviewed information to the users to help them create new knowledge and take well informed decisions. COBIMET, acronym for Consorcio de Bibliotecas Metropolitanas, was designed considering these needs. Making quality information available to users through a virtual library and providing the necessary tools to critically evaluate that information. The following paper will present how COBIMET has addressed the common informational needs of four higher education institutions in Puerto Rico through a cooperative model of consortium. According to Johnstone (2007) institutions that are prepared to collaborate and work cooperatively are the ones who are taking in their hands accountability and efficiency. There are many ways to improve programs and services throughout collaboration. Johnstone (2007) presents some examples about how higher education institutions can benefit from collaborative activities. Some of this benefits are: “1) Saving money with consortium agreements, 2) Allowing faculty to work on site and at other institutions to create course materials, 3) Sharing courses among institutions, 4) Developing electronic services for students and faculty, and 4) Creating resources in open formats that aid in institutional recognition and mission fulfillment” (p.147). When organizations explore partnerships with other institutions is generally because they have identified a need that cannot be fulfilled using their own human or economical resources (McClure, 2003; Johnstone, 2006). That was inspiration to create COBIMET. According to Fernós (n. d.) higher education in Puerto Rico has presented a sustained and diversified growth in enrollments, institutions and programs. Cámara (n. d.) presents that by the first semester of 2001- 2002 the enrolment was of 191,552. By the first semester of 2006-2007 the enrolment was 223,974 that reflects a 17 % increase from 2001-2002. The Directory from the Puerto Rico Council of Higher Education (2010) states that there are 6 public higher education institutions and 42 private institutions accredited by them. COBIMET consortium is currently a nonprofit organization offering virtual library services, information literacy skills website and a library professional development program to private institutions of higher education and schools. The COBIMET consortium is the only non profit organization of its kind registered in the Puerto Rico’s Department of State. They were unable to keep pace with the Information Technology demands to adequately provide library resources to students and faculty. They were unable to individually provide reliable and accessible Virtual Library Services to meet the information needs and the flexibility required by students and faculty. IT staff and Librarians needed comprehensive, continuous training in networks management, strategic planning and security vulnerability issues. The first identified need was partially addressed through the acquisition of a common multidisciplinary virtual library collection. As shown in Table 1, over the course of the project the collection grew significantly so that the universities had collective access to an enviable amount of data and information. Note. The data in the table does not mean that there are 623 separate databases but is shown merely to demonstrate the progress and increase in and the number of databases now accessible at each institution. As shown in Table 2, from 2003 to 2004 there was a percentage increase on most of the type of resources when compared with the baseline of 2003. According to Grogg (2009) during this financial turmoil it is essential for librarians to demonstrate to higher education administrators that “the library is conducting business in such a way as to save the institution money while concurrently negotiating for the best possible content as the best possible price” (p.129). Furthermore Perry (2009) presented the results of a survey conducted in the spring of 2009 in which the two major issues for consortium were budget management and license renegotiations. Out of necessity, library consortium will be focusing a great deal of attention on managing their budgets, especially in times of economic uncertainty. COBIMET Title V project grant produced substantial financial savings to each of the partner institutions during its operations; a minimum of $1,000,000 has been saved on acquisition of information resources since the project inception. By acquiring acquisitions as a group ,the negotiating power of the consortium with the data base vendors has resulted not only in savings for each institution but has enabled COBIMET to acquire more information volumes from each vendor with a minimal investment. Furthermore, value added exercises carried out by COBIMET, such as a review and elimination of more than 30% of duplicate titles, resulted in financial savings to date of approximately $60,000. Another example of strengthening the collection and generating even more savings for the institutions was the evaluation of over 100 open access resources resulting in 80 free titles being incorporated into the collection; 90% of them were databases. The second identified need was addressed through the creation of a COBIMET Portal were the institutions accessed the virtual library. According to Vijayakumar, Kannappanavar and Mestri (2008) the main benefits of a portal resides in acting as a single access point for library information resources like catalogues, subscriptions databases, subject gateways and electronic journals. Furthermore, they state that the main benefits to a portal are easier access, simplified authentication, personalization and the resources presentation in a single place. Since its inception, COBIMET’s portal has registered an increase of 36% in the number of visits while a decrease of 37% in the number of hits due in part to the WebMaster working on improvements to the portal, the introduction of the MetaSearch function, and the integration of the Private Virtual Library which sporadically slowed service during the 2007 year. Vijayakumar et al. (2008) indicate that changes in a portal can affect the use of patrons until they adjust to the new modifications. As Table 3 demonstrates, activity in the Portal increased gradually while students and faculty became more familiar with the tool and also as a result of the promotion of services by each of the participating institutions. As demonstrated in Table 4 below, over the course of the 5 years, the project provided a total of 39 professional development activities with a participation of 481 library staff (437 from the partner institutions). In addition, during Year 05 a total of 44 professors, administrative staff and students also participated in training activities. Technology is an essential component of COBIMET’s mission, because it ensures the smooth operation of the Virtual Library. The four institutions concurred that there was a need for a reliable and secure network that provides an efficient virtual library services platform. Hossain (2009) explains that without a “proper access management mechanism, confidentiality and integrity of information cannot be guaranteed” (p.21). Network assessments to member institutions conducted by a network security expert. Providing the IT Professionals training on network security. The implementation of security measures and tools such as corporate anti-virus servers with automatic updates, windows updates and policies has occurred in the institutions. Training in the development of the institution strategic plan for IT and security policies and procedures. The principal outcome of all these activities was an improved, more secure and reliable campus network. Figure 1 show the number downtime hours and how they were reduced to zero in 50% of the member institutions and to almost zero in the other 50% per year during the last 2 years of the project. Designing and Developing Information Technology Networks to support the Virtual Library Services. Adopting standards, policies and procedures in IT and virtual library services. Other benefits obtained from this project were the reduction of costs, shared knowledge, and diverse learning experiences from all participating institutions. Best practices regarding budget, facilities, security and technology can also be learned from this collaborative project. Quarterly, 44(4), 314-319. Retrieved from Academic Search Complete database. Brindley, D. (2009). Challenges for Great Libraries in the Age of the Digital Native. Information Services & Use, 29(1), 3-12. doi:10.3233/ISU-2009-0594. October 27, 2009, from http://www.rlcu.org.ar/documentos/MarcosRegulatorios/MR_PuertoRico.doc. Electronic Resources Librarianship, 21(2), 127-130.
leaders in the digital era. Bolton, MA: Anker. & Technology Abstracts with Full Text database. your campus. (Vol. 7). San Francisco: Jossey-Bass. Perry, K. (2009). Where are library consortium going? results of a 2009 survey. Science & Technology Abstracts with Full Text database. Technology Abstracts with Full Text database. Can Computer Technology Improve the Quality of Science Education at Urban Universities? Research has shown that technology can be a powerful educational tool in facilitating a constructivist approach to teaching science. Research also shows that academic support for students and faculty development activities are positively linked to supporting science teaching and learning. However, despite the availability of these resources at many urban universities, instructors rarely engage students in collaborative learning. This article uses a case study to describe both the challenges and results of implementing a constructivist model of instruction at a mid-size urban college. The article demonstrates the successful implementation of an online interactive course management system and Supplemental Instruction in large classrooms, with the caveat that such practices require extensive training for instructors, staff and students to be feasible. At Lehman College of the City University of New York, both Title V grant and college administrative support has enabled the creation of a model of collaborative engagement that has successfully fostered partnership among instructors, students and staff in constructivist learning and active use of computer technology at an urban college.